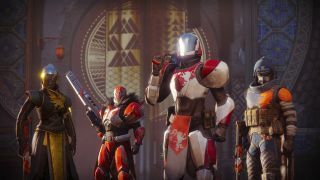 Destiny 2 is a more attractive proposition than ever, with the release of a free trial of the game being released November 28. Unlike the Beta that was released before the official launch, the free trial is much more like the full-game experience. You’ll be able to play single-player and multiplayer modes, join a clan, earn clan points, and work your way up to level 7. What’s better is you can take that progress with you if you end up buying the full game. Available across PS4, Xbox, and PC, the trial will give you access to Earth’s European Dead Zone and Titan, and will be able to go head-to-head with other players in the Crucible’s Quickplay rotation. This isn’t the first time that Bungie has offered a trial of this kind, it did pretty much exactly the same thing with the first Destiny. This free trial is coming out just in time for the DLC pack Curse of Osiris that’s launching December 5.